Lorenzo Aleman - Is This How Marilyn Monroe Felt? ​I ask myself when I’m confident. like the fire of a sparkler. hear the battle cry of an eagle. I glide with windows that scan the horizons. Each step I take, my feet become sharp talons piercing the flesh of my prey. Just like her, I am gentle and caring. all while vibrant memories splatter the pavement. without a shred of distress. 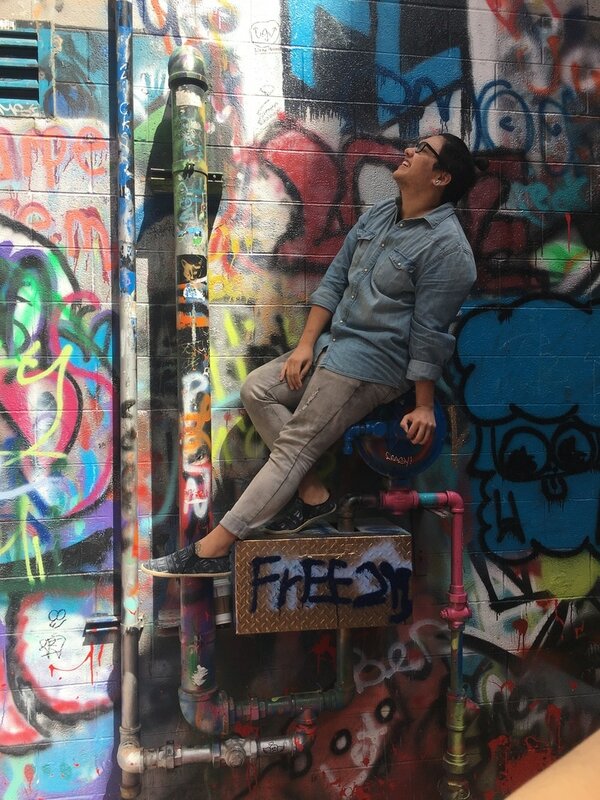 ​Lorenzo Aleman is a freshman at Central Michigan University who was born in Hawaii and raised in Chicago. His creative work hits on a variety of struggles that he has faced growing up, and this piece focuses on insecurities and how he's overcome them. The piece "Is This How Marilyn Monroe Felt?" comes from the low points in Lorenzo's confidence. He offers a piece of himself in the form of words that sound pretty good together.